The mindmap leads to modules, which have been planned as cd-roms, a favourite concept in the 90ies of the last century. But the computer-technology has developed faster and the earlier existing software for the creation of interactive cd-roms was not compatible anymore with the later existing versions of Windows. As a result the plan is now, to transfer the interactive presentations into something similar in the internet, which is a very time-consuming enterprise. So it is a project under construction. 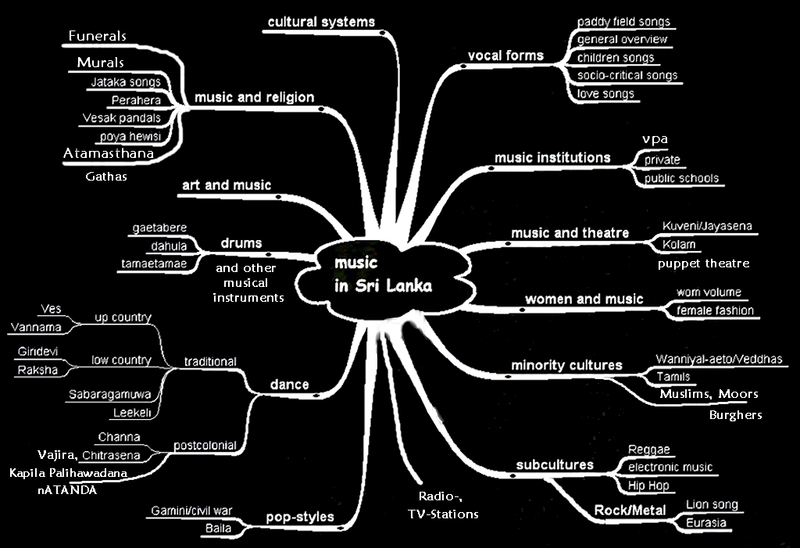 Nevertheless the mentioned modules show the research areas, which could be covered in Sri Lanka up to now.